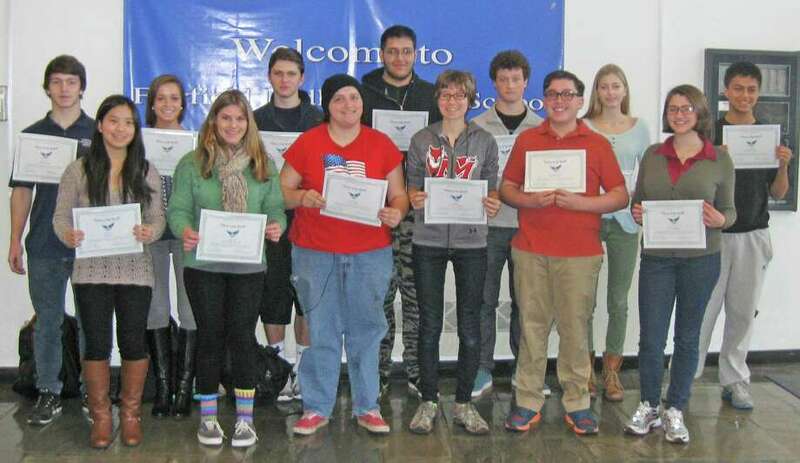 Thirteen students were honored as Fairfield Ludlowe High School's "Falcons of the Month" for December, school officials announced. Each month Ludlowe honors a group of students for exhibiting a trait from the school's mission statement. That trait for December was a love of learning, the school said. Students were awarded certificates during a ceremony. Santiago Alfonso, Brandon Corrales, Allie DeLuca, Nick Fech, Sarah Ford and Emily Ji. Also, Sarah Kryspin, Chase Lind, Calder McCay, , Alex Scott, Anna Seirup, Jesse Sprague and Emery Wallace.